Rod Lurie, director and writer of such movies as "The Last Castle," "The Contender" and "Straw Dogs," will visit campus for three days to showcase and discuss his work, meet with students, and watch the SHSU football team take on Southeastern Louisiana. The three-day event, sponsored by SHSU’s Raven Films, will begin on Thursday (Nov. 1) with a screening of his work “The Contender,” followed by a question-and-answer session. The free event, which is open to the public, will begin at 5 p.m. at the Katy and E. Don Walker, Sr., Education Center. On Friday (Nov. 2), Warner Endowed Chair of Journalism Peter Roussel will conduct an interview with Lurie in the Raven Studio in Dan Rather Communications Building Studio A, beginning at 11 a.m. The interview and a following question-and-answer session are also free and open to the public; however, space is limited. Also while on campus, Lurie will watch the football team in action as a guest of SHSU President Dana Gibson for the annual “Pink Out” game on Saturday (Nov. 3). 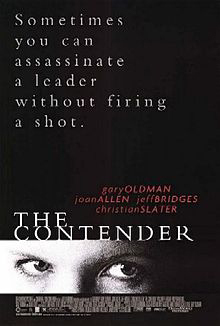 Throughout the week, Raven Films will be selling pink "Be a Contender" shirts for the event, with 50 percent of the profits benefitting "Cause for a Cure" in Lurie's and Raven Films’s name. Shirts will be sold for $15. Leading up to Lurie’s visit, Raven Films will host a series of screenings during which Bearkat and Huntsville community members can familiarize themselves with Lurie’s films. The free, public showings will be presented in Dan Rather Building Room 306 and include "Resurrecting the Champ,” on Monday (Oct. 29) at 5 p.m.; “Straw Dogs,” on Tuesday (Oct. 30) at 6 p.m.; and “Nothing but the Truth,” on Wednesday (Oct. 31) at 5 p.m.
For more information on any of these events, contact Caroline Iles, Raven Films public relations consultant, at cari.iles@shsu.edu or 936.668. Melinda Barlow, an associate professor of film studies at the University of Colorado, will explore an “autobiographical gesture informing the work of three American women” on Thursday (Nov. 1). The multimedia presentation "Collecting Women: What We Treasure, and Why" will begin at 5 p.m. in Art Building E Room 107. It will include a screening of Marjorie Keller’s 1973 “She/Va” and Jeanne Liotta’s 1950 “o little jeannie. The lecture will focus on the influence of these films on the work of experimental filmmaker Jeanne Liotta, photographer Laura Shill, and Barlow, a film historian and art collector, according to Annie Strader, assistant professor of art. “Each has invested home movies, vernacular photographs and/or found objects with personal significance,” she said. “At once drawn to and disturbed by what these artifacts reveal and conceal about the social construction of femininity, each has preserved her salvaged treasures in a private collection, where they serve as mirrors, talismans, reminders, and warnings. “Dr. Barlow explores what these artifacts reveal and conceal about the construction of femininity,” Strader said. Barlow, who will be on campus to do preliminary research for an essay on one of Strader’s projects, is the winner of University of Colorado’s Boulder Faculty Assembly Excellence in Teaching Award, the Gold Best Should Teach Award, and the Dean’s Senior Honors Teaching Fellowship. A film historian who also researches the art of mentoring women, she is currently writing a book on film, female identity and art collecting titled My Museum: A Memoir in Art, which includes the essay “Who Was That Masked Woman? Rediscovering the Hidden Mother,” published in the University of Texas at Austin’s online journal FLOW last year. “Her lecture should give students a new perspective and become familiar with art works and ways of thinking about personal collections in a new and meaningful way,” Strader said. For more information, contact Strader at 936.294.1322 or srs033@shsu.edu. Through the project, students can thank a parent, teacher or friend, or even recall a great senior-year experience. To participate, students should have a friend take an Instagram shot of them on campus and then upload it to Instagram using hashtag #SHSUGrad12 and a short, 140-character shout out. The deadline for submissions is Dec. 7. “Unfortunately, the excitement and pride of having a physical yearbook is a thing of the past, so we're giving graduating seniors the opportunity to document their university experience through their own words and photos,” said Bruce O’Neal, director of SHSU Marketing and Communications. “We think it's a personal touch and more intimate portrayal of themselves, than having someone take static photos against a backdrop. “Through Instagram and the power of mobile uploads, students can find their favorite place on campus and choose their own photo they wish to share with others, while at the same time giving thanks and honor to those who've helped them achieve their goals,” he said. Photo submissions will be used in a video on the days of graduation, Dec. 14-15, before each ceremony. Submissions will also be verified by the Registrar’s Office to ensure the student has registered for graduation. For more information, contact O’Neal at 936.294.1833 or boneal@shsu.edu. Individuals and groups of students can still take the opportunity to show the world what SHSU means to them in the My SHSU:30 contest. While the deadline has been extended to Nov. 21, participants are encouraged to not wait until the last minute to submit their videos, as the finalists will be selected by popular vote, according to Steven Keating, assistant director for university marketing. To enter individuals and teams should submit 30-second videos of the people, places, and events that make “SHSU the experience that you will carry with you wherever life takes you,” Keating said. Videos can be taken via cell phone, iPad, or any other instrument that captures images. The 10 videos with the most votes will be reviewed by a panel, who will determine the top three videos. The winning video will be aired regionally as a television commercial, and the winning individual or team will receive a Nook Tablet. The second place individual or team will receive a Nook Color, and the third place team will receive a Nook Simple Touch. Teams are limited to four individuals and can include SHSU students, faculty, staff, alumni and friends, as well as university departments. Contest information can be found at apps.facebook.com/shsuthirtyvideocomp or myshsu30.com. For more information, contact Keating at sjk010@shsu.edu. Adjunct communication studies professor Terri Jaggers will play “hardball” with professionals from the healthcare, criminal justice, government, non-profit and political science fields on Thursday (Nov. 1) as part of a public discussion on communicating in the workplace. The final “Playing Hardball in a Soft Skill Game” panel presentation will be from 12:30-2 p.m. in the Lowman Student Center Theatre. The three-part series was designed, initially as part of Jaggers’s “Community Applied Communication” course, to address topics such as career trends and barriers, as well as the preparation needed to pursue a career. The panelists who will discuss these topics on Nov. 1 include Judge Eric Andell, former deputy under secretary with the U.S. Secretary of Education; Laura Buntin Livingston, assistant director of the Clinical Learning Resource Center at Texas A&M Health Science Center; Philip Dupuis, Conroe Police Department chief; Judge Robert Eckels, attorney and former Harris County judge; Leshia Fisher, program director for Child Protective Services for six area counties, including Walker County; Andy Kahan, victims’ rights advocate; Ann McAlpin, executive director of CASA Child Advocates of Montgomery County; William “Bill” McGraph, with Memorial Hermann health communications; and Montgomery County Judge Alan B. Sadler. For more information on the series, contact Jaggers at tej003@shsu.edu or 936.294.4318. Walter Lewis, assistant professor of education at the University of Evansville in Indiana, will display the “Road Signs” students should look out for in their life journeys on Monday (Oct. 29). The Honors 3332 Journeys Seminar will begin at 4 p.m. in Smith-Hutson Building Room 186. For his presentation, Lewis plans to relate a senior citizen's “look back at some of the principles which I believe have guided my life. Lewis’s personal journey has led to a career that has taken varied paths, from TV announcer to oil field worker, to lead singer in a rock-a-billy band and a racetrack worker. “I am a retired lieutenant colonel from the Army Reserve, a retired high school principal, a former policeman, and I currently am an assistant professor of education at the University of Evansville,” he said. Lewis, who also directs the University of Evansville’s student teaching program, earned his bachelor’s degree from the University of Southern Mississippi and his master’s degree from the University of Evansville, both through the GI Bill program. He served 10 years in the active United States Air Force and Army and retired as a decorated lieutenant colonel from the Army Reserve. As an educator in various capacities for 35 years in Indiana’s public schools, he was named Indiana’s “Principal of the Year” in l993 before retiring in 2000. His lecture, sponsored by the Elliott T. Bowers Honors College, is part of a new class designed to show students what characteristics lead to success. High school and SHSU students will be the focus of two concerts this week sponsored by the School of Music. On Tuesday (Oct. 30), four high school choirs will perform on campus as part of the annual Choir Invitational, in the Gaertner Performing Arts Center and Music Building. Students from Atascosita High School, in the Humble school district; Cinco Ranch HS, in the Katy school district; Cypress Falls HS, in the CyFair school district; and Ross S. Sterling HS, in the Baytown school district, will perform three selections chosen by each group. The SHSU Chorale also will sing following the performances. On Wednesday (Oct. 31), brass students will round out “Octubafest” with a “Tubatween” performance, at 7:30 p.m. in the GPAC Concert Hall. The recital will feature the SHSU Tuba-Euphonium Ensemble conducted by euphonium professor Henry Howey and tuba professor Robert Daniel. “Several of the works on the program are special arrangements for the tuba-euphonium ensemble by Dr. Howey,” Daniel said. “There will also be performances by small chamber groups of tubas and euphoniums. The SHSU department of dance will go beyond the boundaries of traditional dance when it presents its annual graduate concert Thursday and Friday (Nov. 1-2). “ROYGBIV: Boundaries,” featuring the choreography of 10 dance graduate students, will begin at 8 p.m. on both days in the James and Nancy Gaertner Performing Arts Center Dance Theatre. “This concert promises to be the students’ most eclectic showing to date,” said Amy Wright, dance graduate teaching assistant. “From a live action game of Guitar Hero, to a house of cards crumbling around the dancers, to a science fiction inspired work based around the lighting of designer/choreographer David J. Deveau, the students take on topics that range from the most far-fetched to the most precious and close to home, addressing the journey and adventure of the indomitable human spirit." Among the graduate choreographers presenting their work are Deveau, Laura Harrell, Kiera Amison, Wright, Travis Prokop, Leann Huddleston, Alicia Marie Carlin, Kim Clay, Tristin Ferguson, and Shate Edwards. “The works presented will also include both classical and contemporary pointe work, a breathtaking aerial piece about the ‘Discerning of Spirits,’ both a brand new acapella tap and a recreation of one of film choreographer Gene Kelly’s best-loved works, and a lively tribute to West Indian culture and choreographer Tristin Ferguson’s roots in Trinidad and Tobago,” Wright said. The title “ROYGBIV” was adopted by graduate students as the title for their annual concert a few semesters ago as a bit of irony, according to Wright. Tickets are $8 and can be purchased at the GPAC box office or by calling 936.294.2339. Veteran educators and other professionals will share their ideas on developing educational environments for young children on Nov. 10 during the Sam Houston Association for the Education of Young Children’s annual Early Childhood Conference. The series of seminars and workshops will be from 8 a.m. to noon on the first floor of the Garrett Teacher Education Center. There will 15 different 40-minute breakout sessions about various topics in early childhood education in addition to the keynote address. It is open to educators and future teachers, as well as child-care providers and school administrators working with young children. The cost is $15 for students and $40 for non-Sam Houston Association for the Education of Young Children members. SHAEYC members can attend for free. The registration deadline is Nov. 7. For more information, or to register, contact Henderson, at 936.294.4638. Childhood bullying can lead to long-term health consequences, including general and mental health issues, behavioral problems, eating disorders, smoking, alcohol use, and homelessness, a study by the Crime Victims’ Institute at Sam Houston State University found. The study, “The Long Term Health Consequences of Bullying Victimization,” recommends investing in victim services and effective prevention programs, such as the Olweus Bullying Prevention Program, a school-based initiative for violence prevention. Programs can help address the immediate trauma, both mental and physical, that victims’ experience. The report can be found at crimevictimsinstitute.org/publications. “This type of investment may also have the added benefit of reducing the long-term deleterious effects identified in this and other studies, thus reducing the high cost of victimization born by the victims themselves, the health care system and society in general,” Bouffard said. The current study is based on the National Longitudinal Survey of Youth, a long-term study that tracks a sample of U.S. residents born between 1980-84. Nineteen percent of those surveyed said they had been a victim of repeated bullying. The study found that those bullying victims had more negative perceptions of their general health and mental health and higher rates of emotional/mental or behavioral problems that interfered with school or work. They were also more likely to have an eating disorder, smoke, consume alcohol, experience subsequent violent victimization, or be homeless. “While these are adverse consequences themselves, they may also serve as intermediate mechanism for even more long-term health issues, such as cancer, alcoholism, depression and other serious problems,” said Maria Koeppel, doctoral student and co-author of the study. The briefing paper is a summary of research co-authored by Koeppel, which will be published in a special issue of Justice Quarterly that looks at issues in criminology and criminal justice from a public health perspective. The Crime Victims’ Institute was created by the Texas Legislature to improve services to victims, conduct research to examine the impact of crime, give a voice to victims, and inform policymaking on victim related issues.